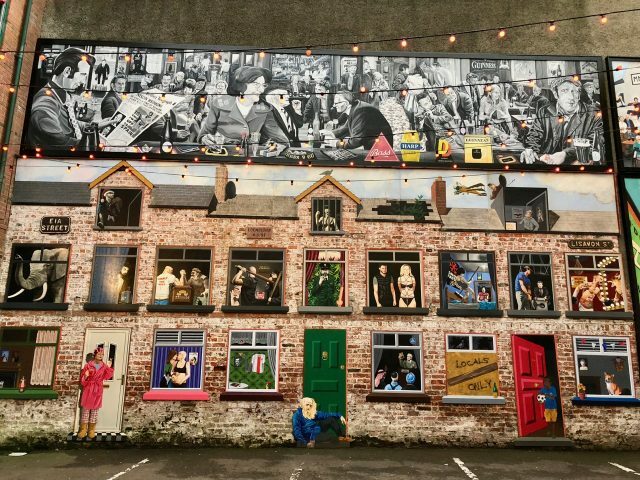 Exploring the Cathedral Quarter in Belfast - pubs, street art and whiskey! 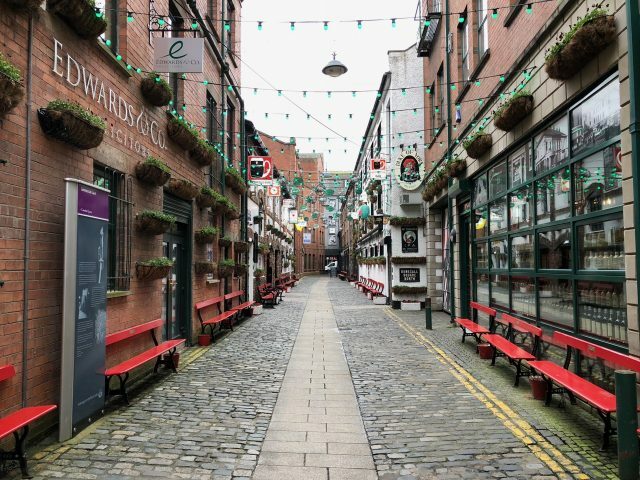 I recently visited Belfast for several meetings and since it was my first ever visit to the capital of Northern Ireland, I was determined to sneak in some time in between my meetings to see a bit of the city. 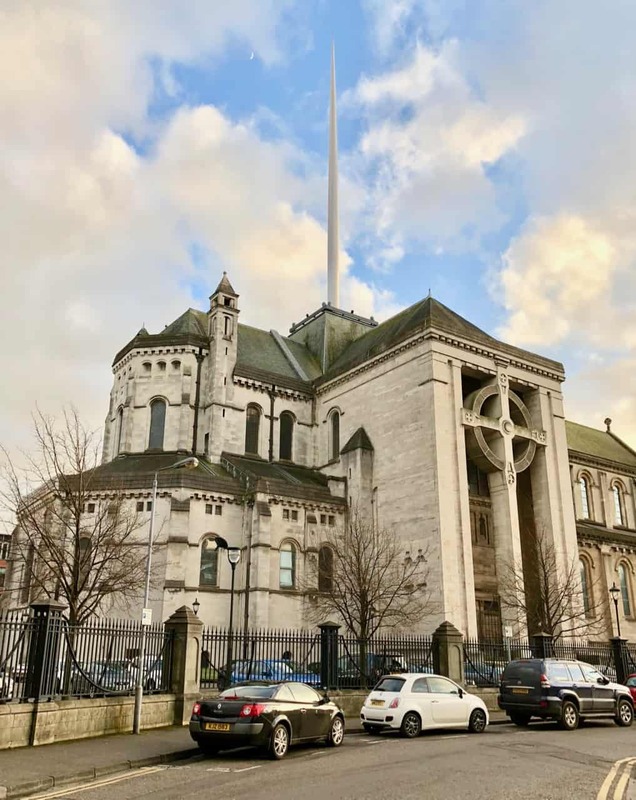 As it so happened, some of my meetings were held in the Cathedral Quarter of Belfast. 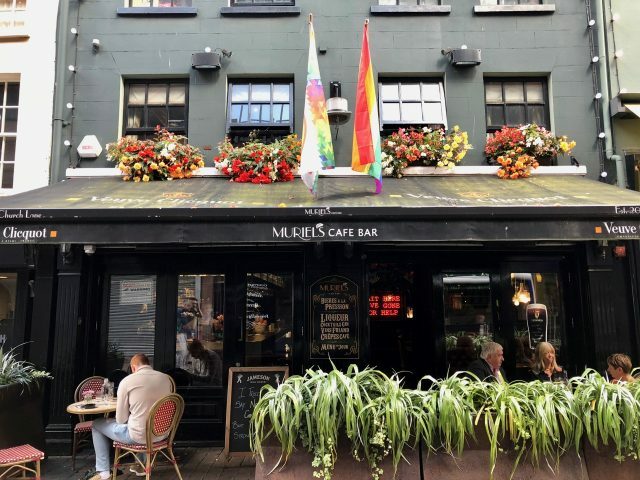 I’d not heard of this area before but I spent a few hours exploring the Cathedral Quarter and discovered an up-and-coming district packed with beautiful hotels, excellent restaurants, delightful pubs and a vibrant arts scene. This district sure was a highlight of my short trip to Belfast! 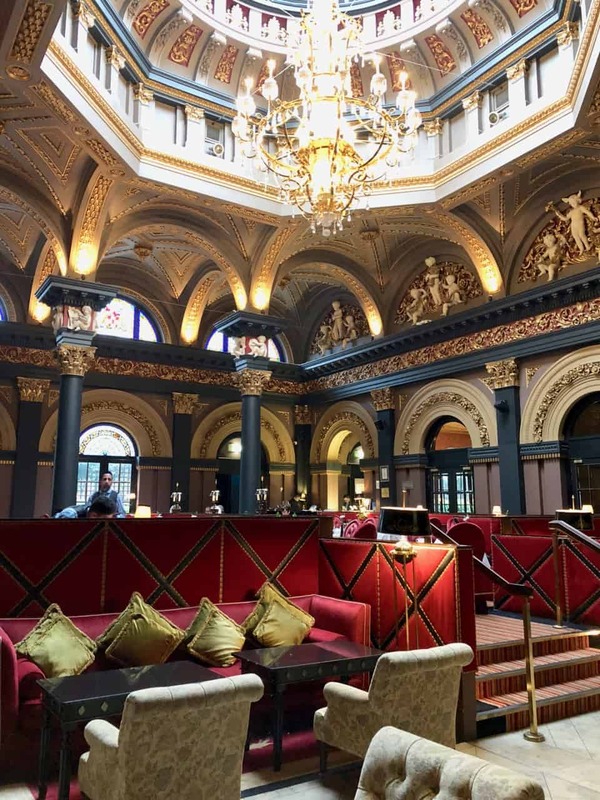 I started my stroll at the stunning Merchant Hotel. 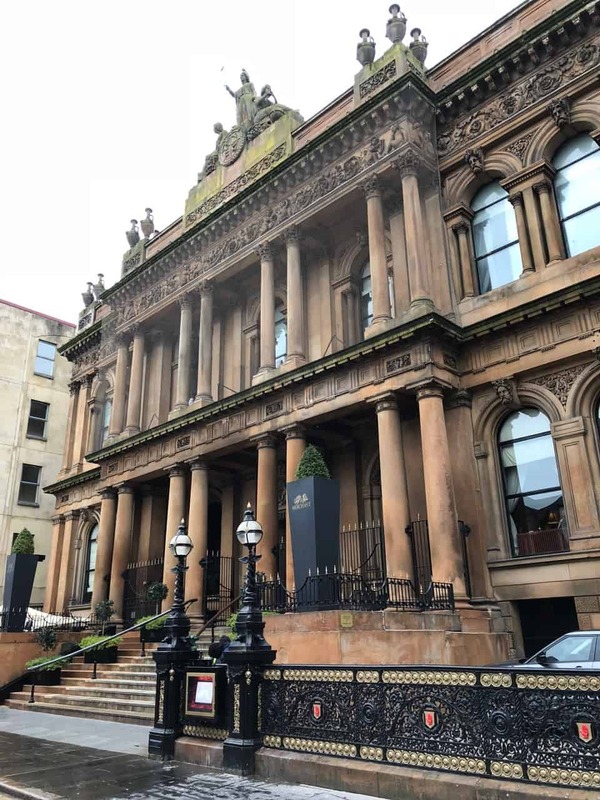 This historic 19th century building was originally the Ulster Bank before being converted into a five-star hotel in 2006. 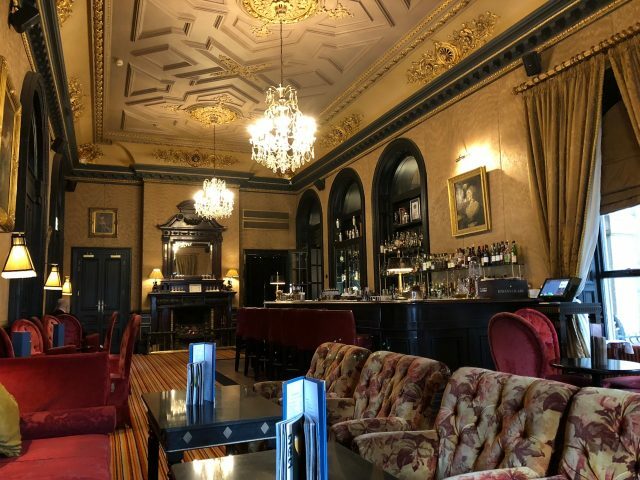 Even if you’re not staying there, I definitely recommend dropping in, if only to see the breathtaking Great Room (featuring Ireland’s largest chandelier), and you definitely have to have a cocktail at the Cocktail Bar, reputed to be one of the best cocktail bars in the world! The Great Room in The Merchant Hotel. 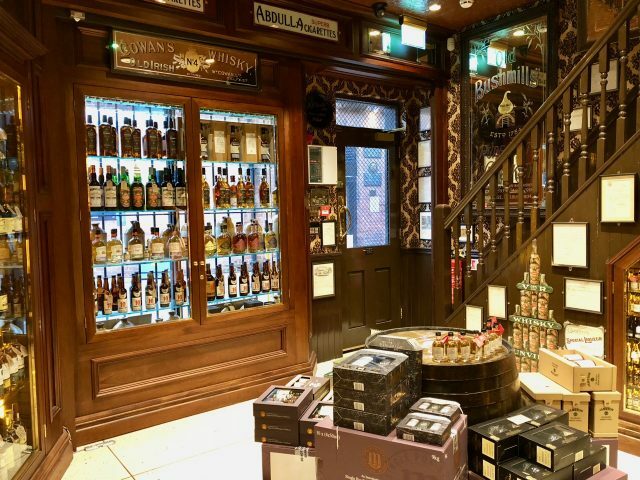 The Cocktail Bar at The Merchant Hotel is reputed to be one of the world’s best. The district was named after St. Anne’s Cathedral, with its intriguing spire that seems to pierce the sky above. I later heard that locals call it “the rod to God”! Haha! The Cathedral with its “Rod to God”. 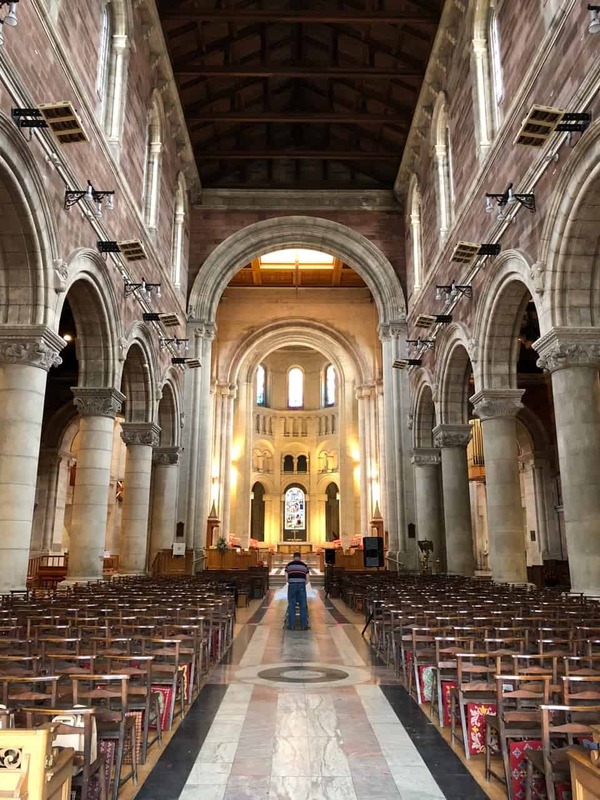 Inside the St. Anne’s Cathedral. From the Cathedral, streets branch out in different directions. I strolled down bits of Hill, Talbot, Donegall and Waring Streets. 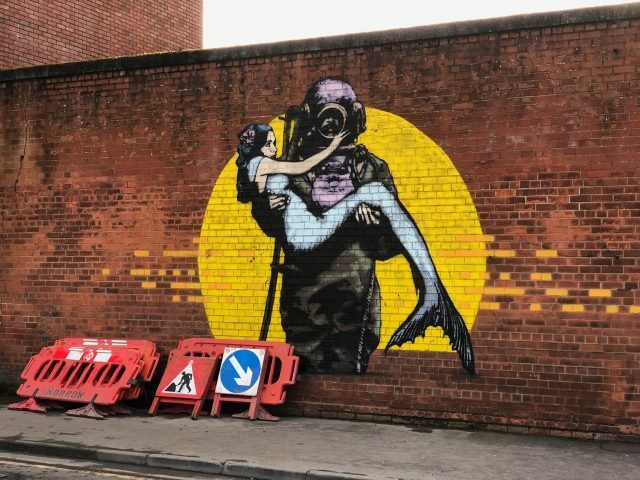 Hill Street, with its cozy pubs and amazing street art, is my favourite. I checked out Established Coffee, a cool coffee shop, before popping into the The Friend At Hand, a gorgeous whiskey shop & museum. 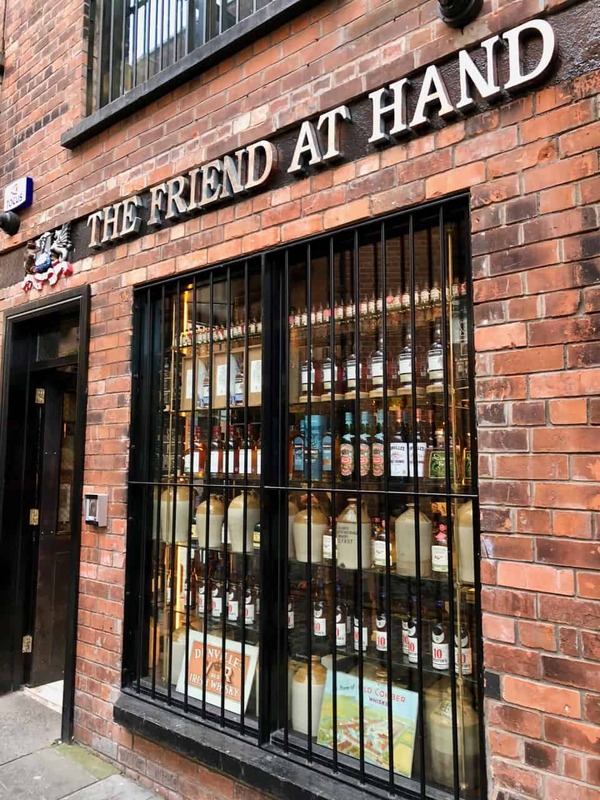 The Friend At Hand is a terrific whiskey shop & museum. Inside The Friend At Hand. Further down Hill Street, I found a quaint-looking road (Commercial Court) and ventured into it. Commercial Court in the Cathedral Quarter. 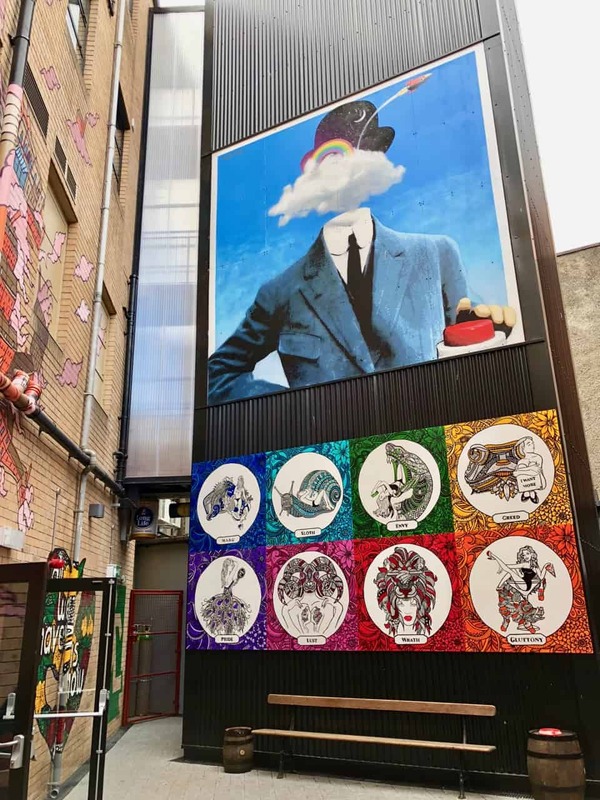 Two pubs (the Duke of York and the Dark Horse) face each other, and around the corner, I discovered a little lane (Umbrella Passage), with its distinct umbrellas hanging from the ceiling and colouful murals on its walls. The passage led me into an amazing courtyard filled with murals, each with its own story. I was just blown away by the colourful scenes and the stories! 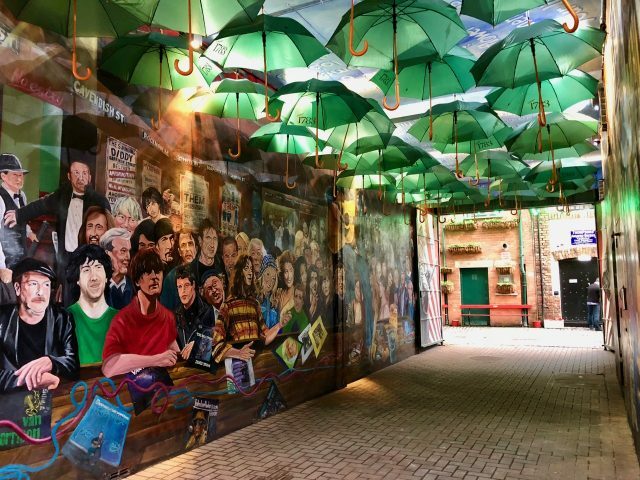 The Umbrella Passage in the Cathedral Quarter. The courtyard with its many murals. 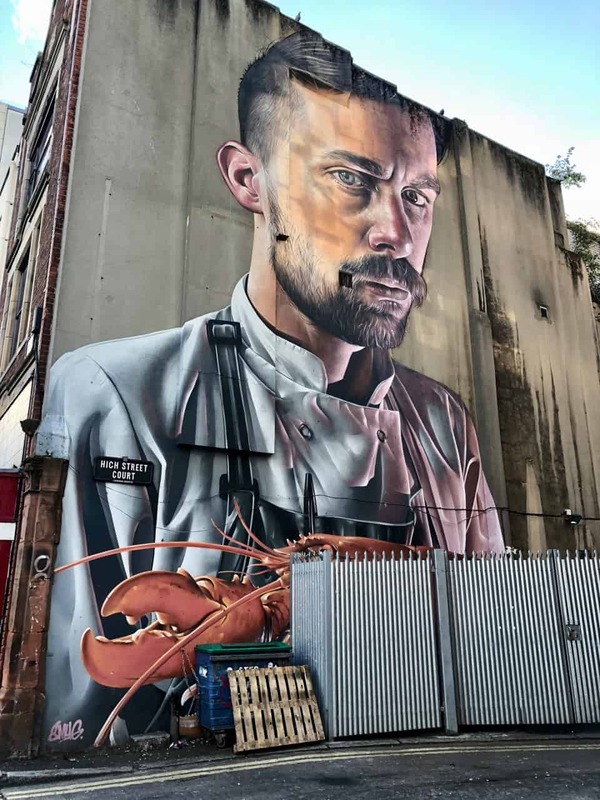 Another impressive mural in the courtyard. 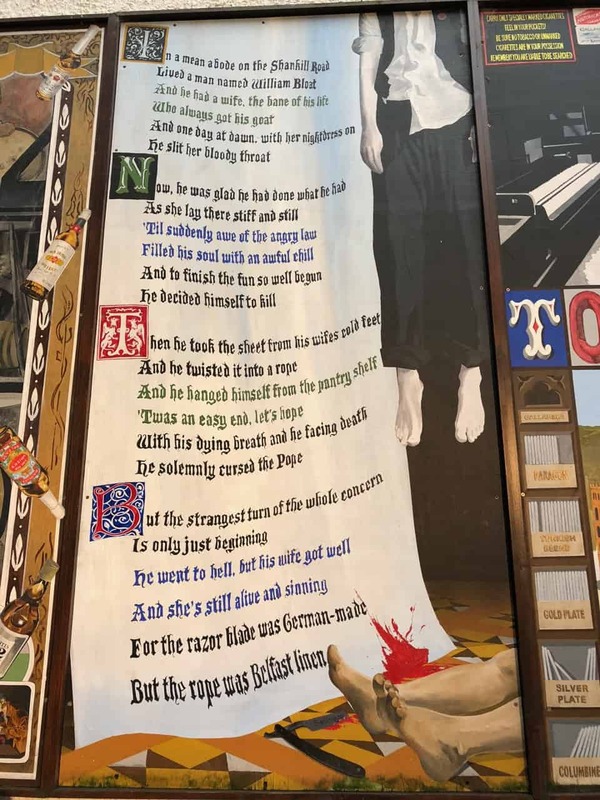 I took my time to read this poem, an ode to the quality of Belfast linen. 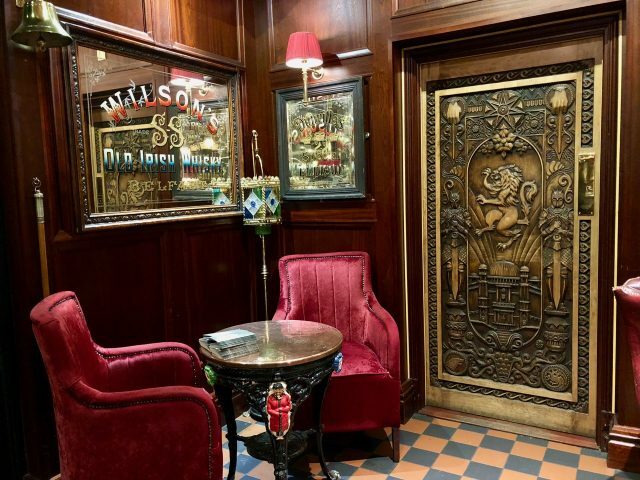 Inside the Dark Horse pub, visitors will find one of the Game of Thrones doors! I also dropped by at The Duke of York for a pint. Later that evening, I had a terrific dinner at Babel, which is located on the rooftop of the Bullit Hotel. The restaurant bar features a cool garden wall where the herbs used in the cocktails are grown. 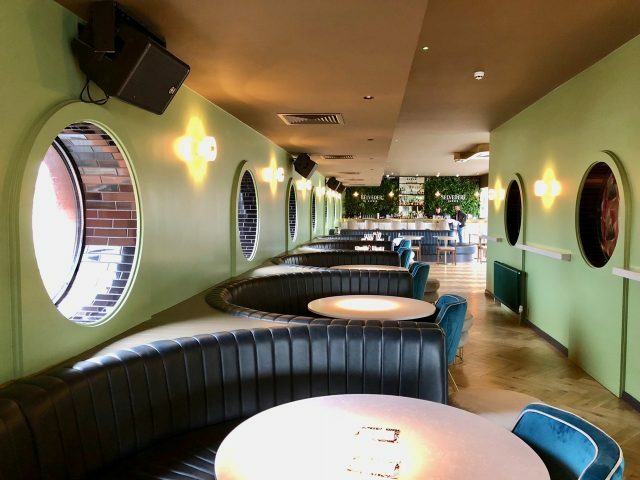 There’s also an open-air terrace and bar. 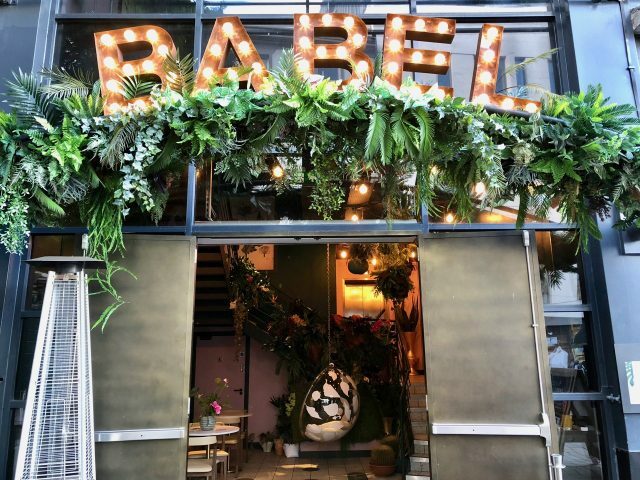 The entrance to Babel on the street level. Babel restaurant and bar on the rooftop of the Bullit Hotel. After dinner, I popped into Muriel’s Café, a few doors down from the Bullit Hotel for one of their famous cocktails. 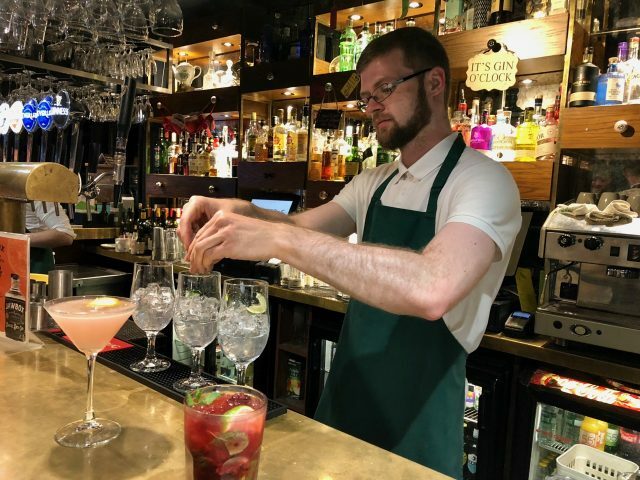 The cocktails at Muriels are amazing! 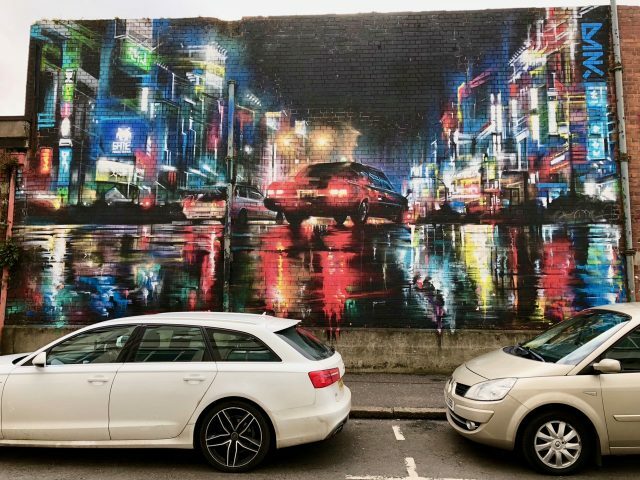 As I walked around the Cathedral Quarter, I couldn’t help but notice the amazing street art around every corner. 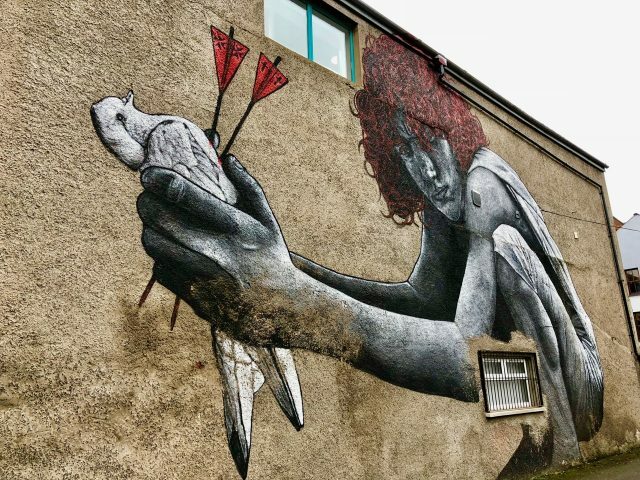 It was quite obvious that many of them are allegories (and I hope to do a Belfast street art tour one day to find out the hidden meanings of each piece). This is definitely one of my favourite pieces! 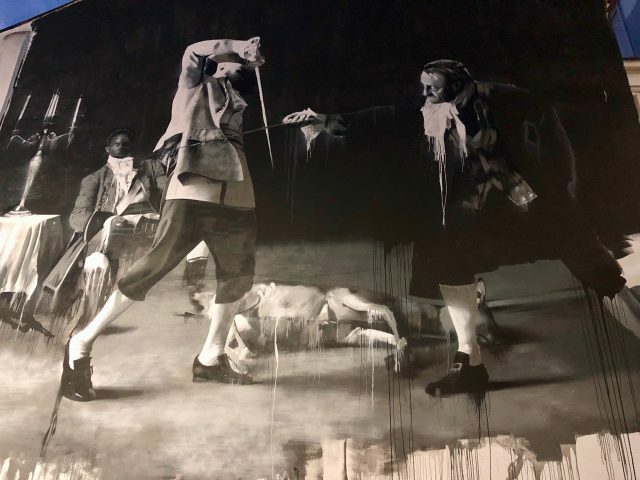 I need to ask someone what this piece depicts. Pretty sure there’s a great story behind this piece. Another of my favourite pieces. 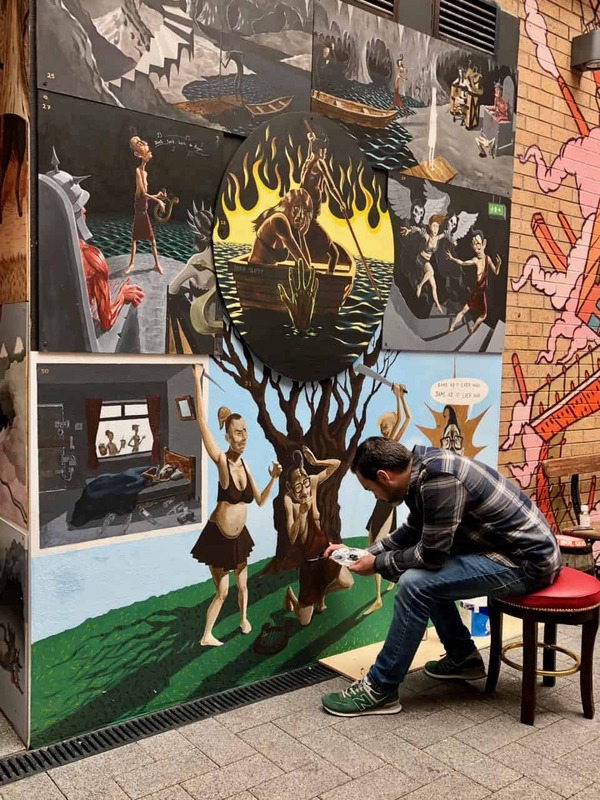 I spotted this artist at work in the courtyard behind the Harp Bar in Hill Street. 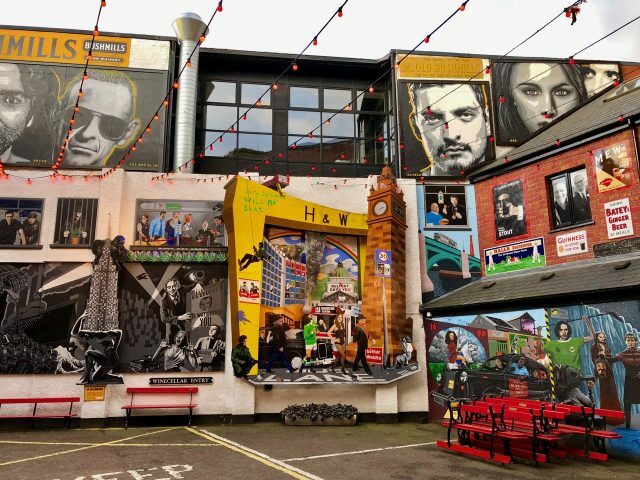 This courtyard is a must-visit for street art fans. The courtyard behind the Harp bar. If there’s one thing that became clear to me during my stroll around the Cathedral Quarter, it’s that I absolutely have to return! I only managed to see the district in the afternoon. 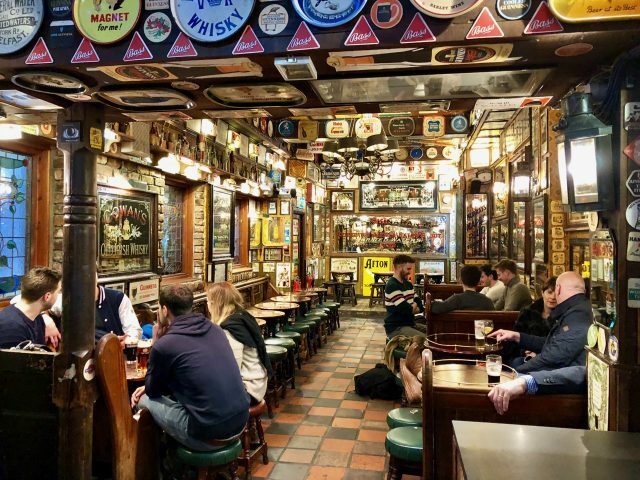 I’d love to experience it in the evenings when the pubs and restaurants are buzzing with people. The street art there is so cool! 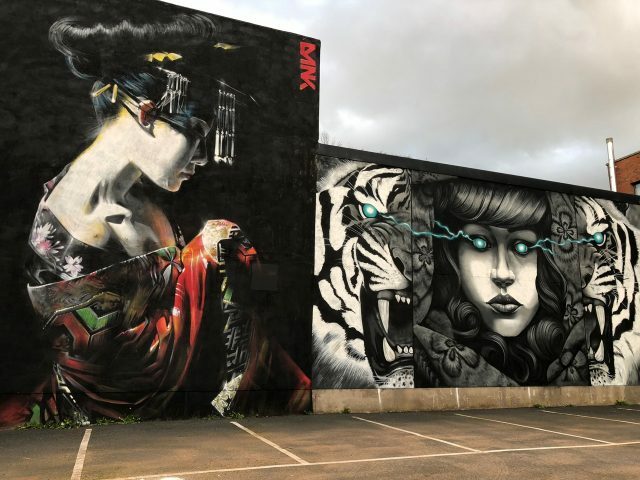 I would love to return and do a street art tour to learn more about the stories behind the art. 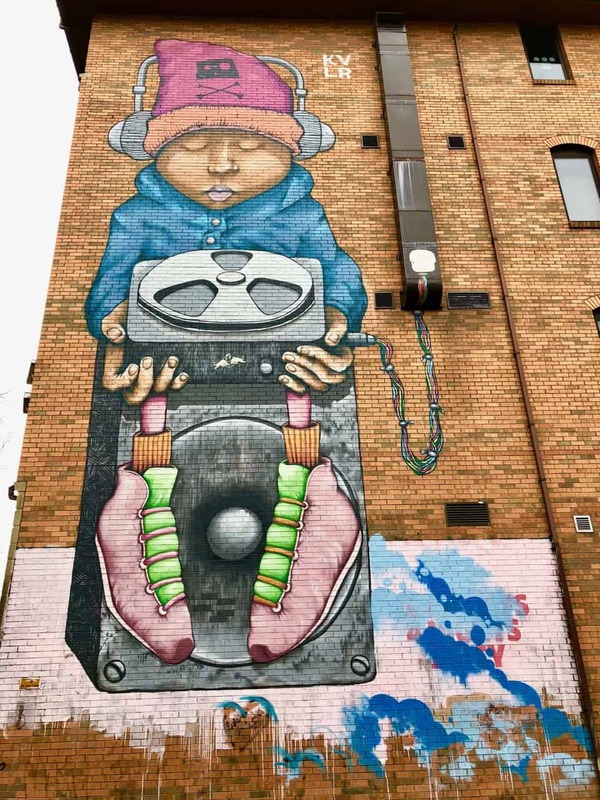 Love all the street art photos. And the “rod to God.” Looks like an interesting place indeed!